A few thoughts on the Arsenal 3-3 Fulham league match | "It's all about the Arsenal"
Hi Gooners… Went to the game yesterday. 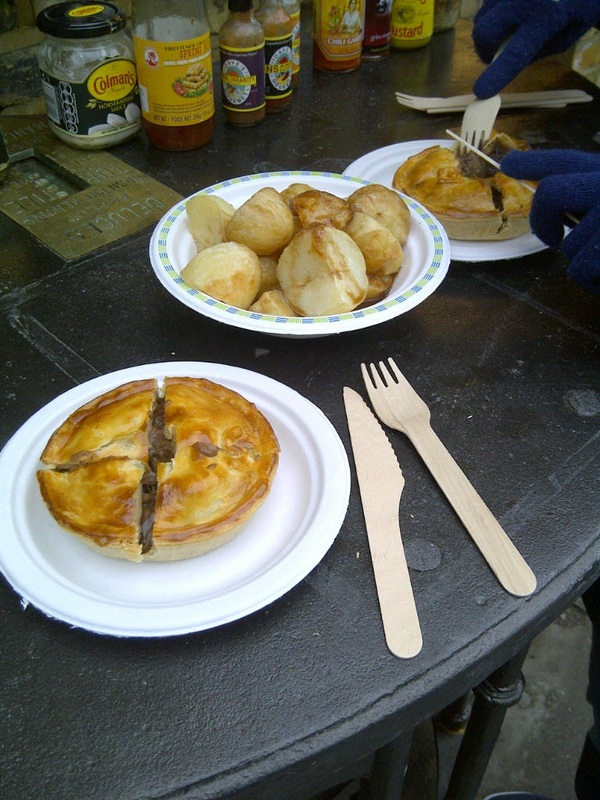 Stopped off on way to ground at Piebury Corner for a Tony Adams. I must say it was very nice and the Tatties went down a treat too. I would recommend. I was Disappointed at the boo’s that rung out as Santos was shown on big screen. How does that help anything. I despair at some of our support at times. About 2.45 I noticed looking around the ground how empty it looked, even the Red Action singing section was practically empty. Gone the days when North Bank or Clock End would already have many in place getting atmosphere going, so much for all sweater stadia. Though it does fill up very quickly in the last five minutes before kick off. Before the game started Corporal Aran Rushe from the Royal Irish who has been on tour to Afghanistan twice already and due another tour soon presented the ball to Referee Dowd. It was great to first see the 50k people in he ground at the time give him on behalf of all the armed forces a standing ovation and then impeccably observe a minute’s silence for all those that have fallen for their country. Referee Dowd blew his whistle for the game to start. The first chance after a somewhat sluggish start from Arsenal goes to Fulham when Ruiz had a shot from 20 yards that took a deflection and went over Mannone to safety. The first 10 mins was all about two teams taking a good, long hard look at each other and nothing of real note happened. Fulham even though a goal down were looking comfortable and playing some good stuff. Even though Arsenal are 2-0 up this is by no means a one-sided match, Fulham were playing their part. GOAL! Arsenal were once again caught messing about and not getting ball away when having the chance and pay the price. Ruiz sent over corner right onto the head of the unmarked Berbatov, who headed it in for 2-1. We always get punished for our mistakes. That was close, right on half-time. Ruiz who had been very impressive for Fulham sent Riise away and his cross was flicked on by DJ Argghhh and thankfully the BFG was on hand to clear otherwise Berbatov had a tap in for Fulham’s third. Arsenal kick off – Good cross from Theo went over Giroud’s head and then Ruiz hit one from 20 yards past the post. Good play from Theo as he played one-two and ran past three Fulham players only to blast over the bar with his left foot from 20 yards. Arsenal were on top at this time, Theo had a shot that was deflected wide of the post. Ramsey was a very lucky boy as he pulled back Sidwell. Now here’s when you know Dowd got it wrong as instead of sending off Ramsey, he let it go and in turn made up for the earlier error… Thing is had Dowd done it correct in first place, Rambo would not have been able to pull back a player that would be back in dressing room. Arsenal would be playing 10 men. Nooooooo!!!! What were you thinking Mikel? Don’t dilly dally on the ball. Robbed by Ruiz, Arteta should have just let Ruiz go on and try to score after all there can be no certainty he would have scored, instead Arteta brought Ruiz down and Dowd has no hesitation to point to the spot. Up stepped Berbatripe and made it 2-3 Fulham, takes me back a few years to Arsenal v Spurs. It’s all happening, first Giroud pulled a save out of Schwarzer and then Riise forced Mannone into save. That did not take long… Gooooooooooooooal!!! Giroud hit the post and the ball found its way to Theo whose cross was headed over Schwarzer into the net for his sixth of the season – Arsenals third and equaliser. Ruiz forced Mannone into save and both sides were going for the win, great second half. Whatever people say about Arsenal, they are not involved in too many boring matches. Berbatov is through and there is Bossielny to make a fine tackle. Oxo came on to replace Podolski. Giroud who is trying to win the game on his own, strode powerfully forward and smashed a shot at goal from the edge of the area that Schwarzer punched behind for a corner. Nothing came of corner. Theo was injured and had to come off, Arshavin replaced him. Having played well , Giroud should have done better when on the end of a good Sagna cross when he headed the ball across goal and past post. Corner!!! Another Corner!!! The crowd were trying to will the ball into the net. The Emirates is great when it’s like that. Arshavin crossed the ball and it hit Riether, Dowd pointed to the spot… PENALTY!!! Apparently Martin Jol thinks that Arshavin deliberately kck the ball at the hand of the Fulham defender to get the penalty. Last kick of the game, we could have won it 4-3… Giroud for me should have jumped all over the ball for his hat-trick, or Cazorla. No way should have Arteta been allowed anywhere near the ball. His head was not right. This was too important to let Arteta take it.. Up stepped Arteta hit a poor penalty which was saved by Schwarzer who always seems to play well against Arsenal. Full-time 3-3. Disappointed with result? Yes – could and should have won it. However, did I enjoy match? yes!!! I think the team did show a bit more desire and fight in the second half, but I am still puzzled as to why the team looks so lacklustre at times. Thus I am still of the belief that some of the senior players are not playing for the manager. This is more than a poor run of form. Hopefully the very nature of the next game those players will rise to the occasion as if they don’t a whole heap if s**t is flying the club and managers way. I do wonder if in amongst all the doom and gloom that surrounds Arsenal right now some supporters have forgotten how to enjoy a match in isolation. I’ll have more on this in a blog later on in the week.